The resilience and empowerment of Indigenous people in Canada today is a reflection of an unwavering determination to oppose discrimination and oppression and keep Indigenous cultures alive for future generations, wave after wave. Each song, each dance, each language, and each traditional law flourishing today is testament to the conquering assimilation and the championing of self-determination. To achieve autonomy, Indigenous people in Canada have followed numerous paths and taken various steps, with many yet to be taken. But these two women encapsulate through their stories and their actions both the difficult history of this movement and its empowered steps toward self-governance. A citizen of the Sturgeon Lake Cree Nation in Treaty 8 territory, Indigenous activist Tanya Kappo achieved accolades and celebrity a number of years ago when she played a vital and seminal role in advancing the Idle No More movement. But her activism has deep roots. Kappo has strong ties to residential schools – many in her family were residential school survivors – and her father, a Cree leader, wrote the Red paper as a response to the 1969 White Paper. The mother of three recently added to her full plate when she started working as a lawyer with a strong focus on residential school survivors. And her tools for change have always remained as peaceful as her mission remained strong – improving the living conditions for and advancing Canadian understanding of indigenous people. Similarly, when it comes to Indigenous rights and the struggle for self-governance and determination, Kim Baird stands as a true testament to what’s possible. 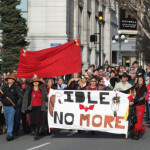 Chief of the Tsawwassen First Nation for six terms, from 1999-2012, Baird was responsible for negotiating and implementing British Columbia’s first urban modern treaty on April 3, 2009. Not surprisingly, Baird received a number of prestigious awards over the years, including a honourary doctorate degree from Simon Fraser University, Canada’s Top 40 Under 40 Award, the National Aboriginal Women in Leadership Distinction Award, Canada’s Most Powerful Women Top 100 Award. Most recently, Baird was named to the Order of Canada. 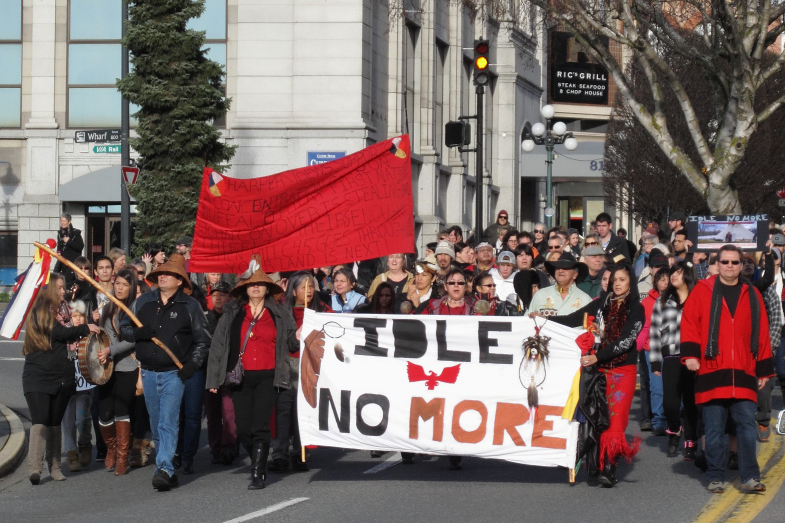 In this podcast, Tanya Kappo talks about how her father’s activism inspired her own and what she learned from her involvement in Idle No More. She discusses the impact of residential schools on her life, the importance of talking about it as part of a healing process and how she’s learned to forgive and understand her parents. In this digital story, The former Chief of Tsawwassen First Nation talks about her success in implementing British Columbia’s first urban modern treaty and the challenges that she faced in doing so.